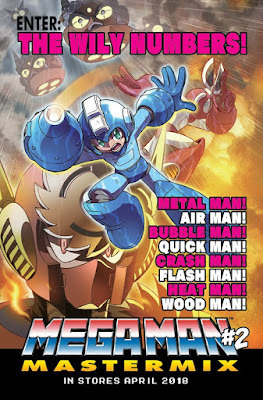 With the first issue of Mega Man Mastermix out the door, it's time to start looking ahead to the next release. Fortunately, we won't have to wait too long: Mastermix #2 is slated to hit shelves in April. Check out a sneak peek of Mastermix #2's cover above (illustrated by Hitoshi Ariga, no less). 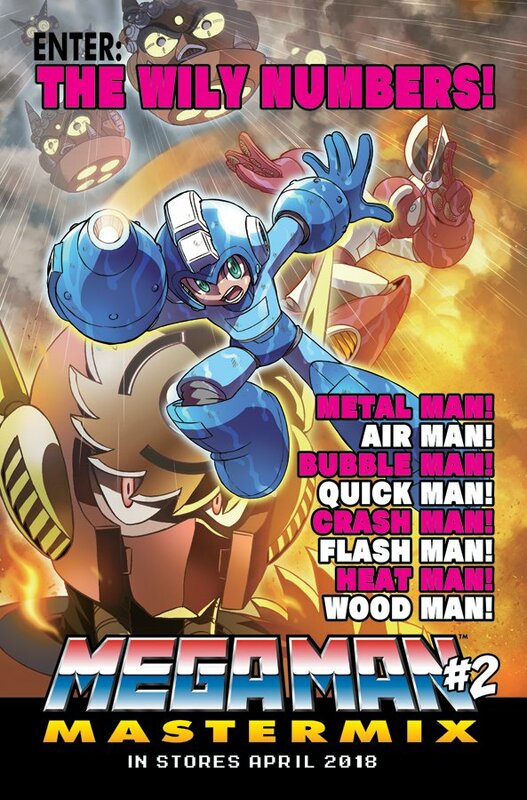 Based on where Mastermix #1 left off, Mastermix #2 should recount most, if not all of "R Destruction Order", the second chapter of Mega Man Megamix volume 1. It has yet to be confirmed if, like Mastermix #1, it would cover the entire chapter. As a reminder, Mastermix is meant to be an on-going, quarterly series. It's within the realm of possibility. Just like the inaugural issue, Mastermix #2 will have a few variant covers to collect, too. All three variant covers will be revealed on January 31st via Diamond Previews, I'm told. Stay tuned for your first look soon! In the meantime, pick up issue #1 if you haven't already. It's an exceptional re-release!